All six of them are instantly hateable. The way they enter, slam their books and things on the table and angrily take their seats, in unison. Then Rainer (Suzy Jane Hunt) arrives, inconsiderately late, and she turns out to be married to a movie star. In Lawrence Dial’s intimate drama “In the Room,” the characters have shown up for a playwriting class. Their space used to be a small theater; now the rooms are rented for various purposes. (Sometimes you can hear the martial arts class next door.) The teacher, Seymour (Matt Harrington), would rather be writing. He has some past connection with Rainer, which the play’s director, Adam Knight, lets us know with a momentary touch of Seymour’s hand on her shoulder. 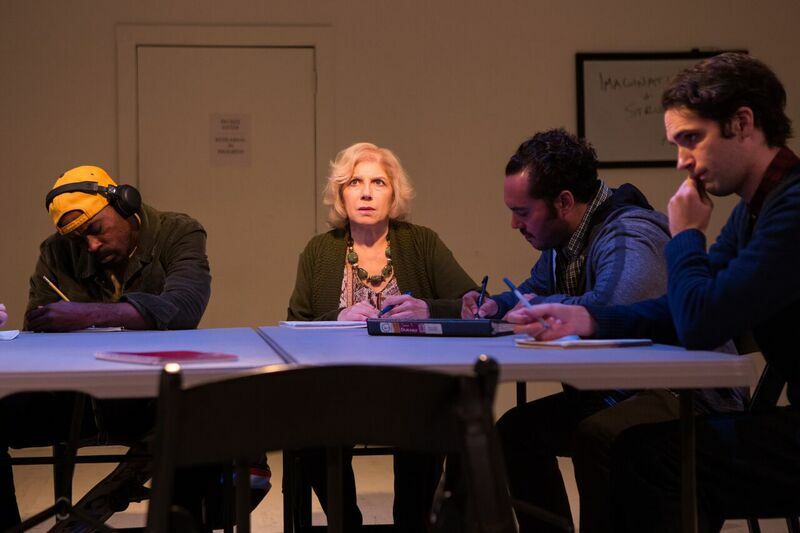 Theresa Rebeck also presented characters in a writing workshop in her slick Broadway comedy “Seminar,” but “In the Room” has more in common with Annie Baker’s Off Broadway play “Circle Mirror Transformation,” set in a community-center drama class. No one here is likely to get to the big time; they may, however, learn a little about themselves. I identified with Scott (Jacob Perkins), who has just moved to the city — last week — from a small town where the tallest building is four stories. And with Clementine (Susan Neuffer), who is decades older than everybody else and has lived in the same Greenwich Village apartment since Madonna was young. The pleasures of Mr. Dial’s play, presented by the Slant Theater Project, are threefold: Watching the motley assortment of students emerge as real people; laughing at the barely concealed connections of their fiction to their real lives; and taking the course along with them. When Seymour asks the students, “In one word, what is your play about?,” you get to come up with an answer of your own — for whatever project you might be working on, or just for your life. 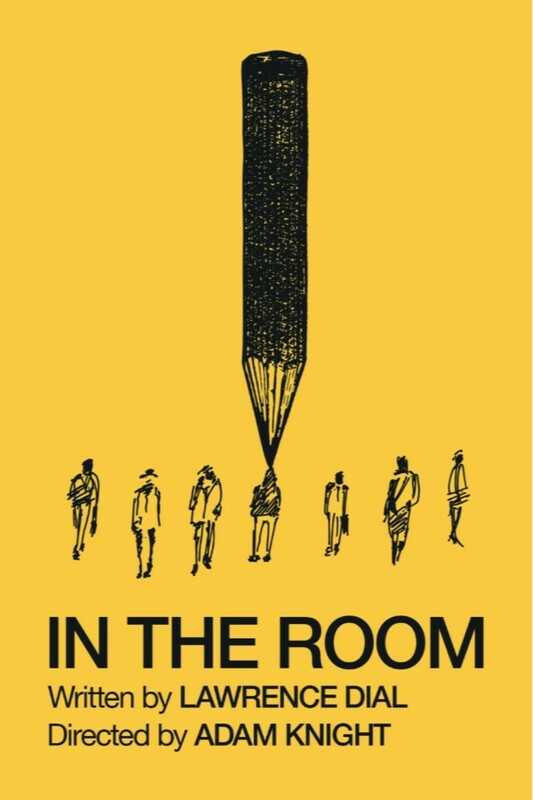 “In the Room” offers no flashes of universal revelation, but it’s solid and smart. These seemingly angry people have good reasons for defensiveness, but a generous overlay of wistful humor ends up making them pleasant company. And the cast’s fierce commitment renders the experience — seeing a bare-bones production in a third-floor walk-up, with an audience of mere dozens — thoroughly transporting.